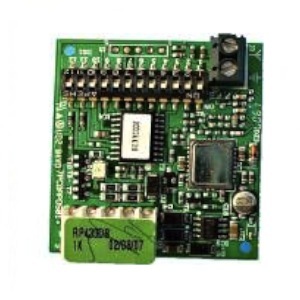 Enjoy the convenience of operating your automation in the simplest way possible with ADYX TE4433H ! A quality remote control that will enable you to monitor your electric devices effortlessly and effectively. You just need to follow the instructions to the letter. IMPORTANT : We deliver you GENIUS ECHO TX4. 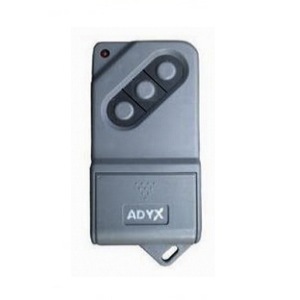 ADYX TE4433H Remote Control is used for managing your gates and garage doors automation systems. This blue case is programmed on a self-learning mode. ADYX TE4433H is easy to use and has 4 blue buttons which provide you with effortless controlled access to your electric gates and garage doors. 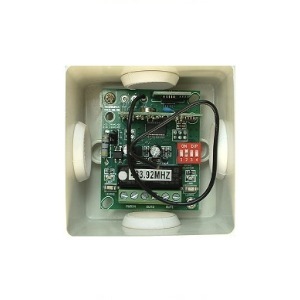 It works with 12V batteries and operates on 433,920 MHz frequency. 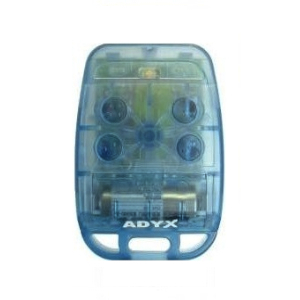 ADYX TE4433H is a 4-channel durable transmitter, perfectly adapted for residential use.